Steve Swanson is very new to testing. I predict he has a great future. He has already noticed that the common idea of boundary testing is almost content-free. Michael Bolton and I do a whole session on how to turn boundary testing into a much more intellectual engaging activity. 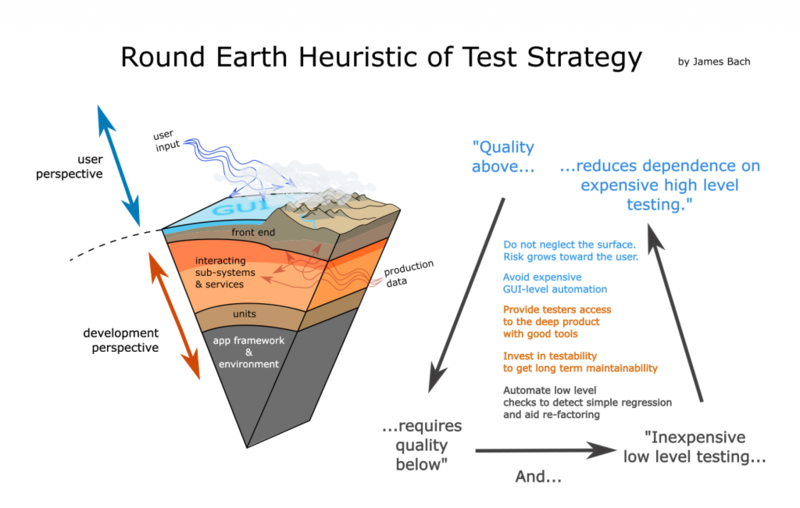 At the end of his post, he identifies one of the major weaknesses of the classic notion of boundary testing. This confirmed for me that he is a mind to watch. What’s the point of having names for things? To me having a name limits what you see and limits creativity. If you feel that certain things are not to be considered boundary tests, then maybe you won’t do them. Maybe you are pigeon-holing yourself into constraints that do not need to be there. Furthermore it seems that everyone has a different idea of what a “boundary” test is. If that is the case then why even have a name for it? I’ve been studying testing for 19 years, and let me tell you, a lot of things people write about it are fairy tales. This is the first reason why you are confused about what’s in a name: most people (not everyone) are also confused, and thus just copy what they see other people write, without thinking much about it. To use an example from my own history, I used to talk about the difference between conformance testing and deviance testing. I learned this distinction at Apple Computer. For about five years I talked about them, until I one day I realized that it is an empty and unhelpful distinction. It was not a random realization, but was part of a process of systematically doubting all my terminology and assumptions about testing, in traditional Cartesian fashion. I just couldn’t find a good enough reason to retain the distinction of testing into conformance and deviance. I will tell you now what book you need to read that will help you more than any other on this planet: Introduction to General Systems Thinking, by Gerald M. Weinberg. It’s what I consider to be the fundamental textbook of software testing, yet not 1 in 100 testers knows about it. A term can be a generative tool. It can evoke an idea or a thought process that you are interested in. (This is different from using a term to classify or label something, which as you point out limits us without necessarily helping us.) An example of the generative use of terms in this way is the HAZOP process which uses “guidewords” to focus analysis. Even a generative usage is susceptible to bias, which is why I use multiple, diverse, overlapping terms. I expect to see more example of skeptical inquiry on you blog, as you wrestle with testing, Steve. I hope you find, as I do, that it’s a rewarding occupation.